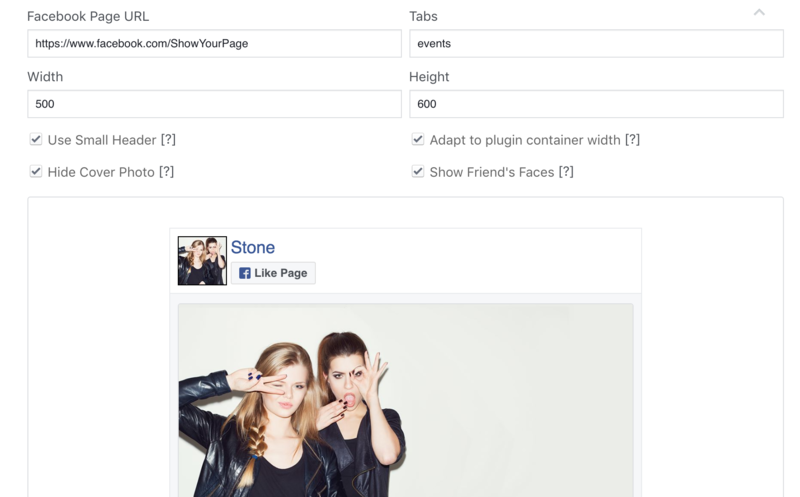 This article explains how you can embed the event list on Facebook into your website. Set the width on 500. Set the height depending on your desired height. 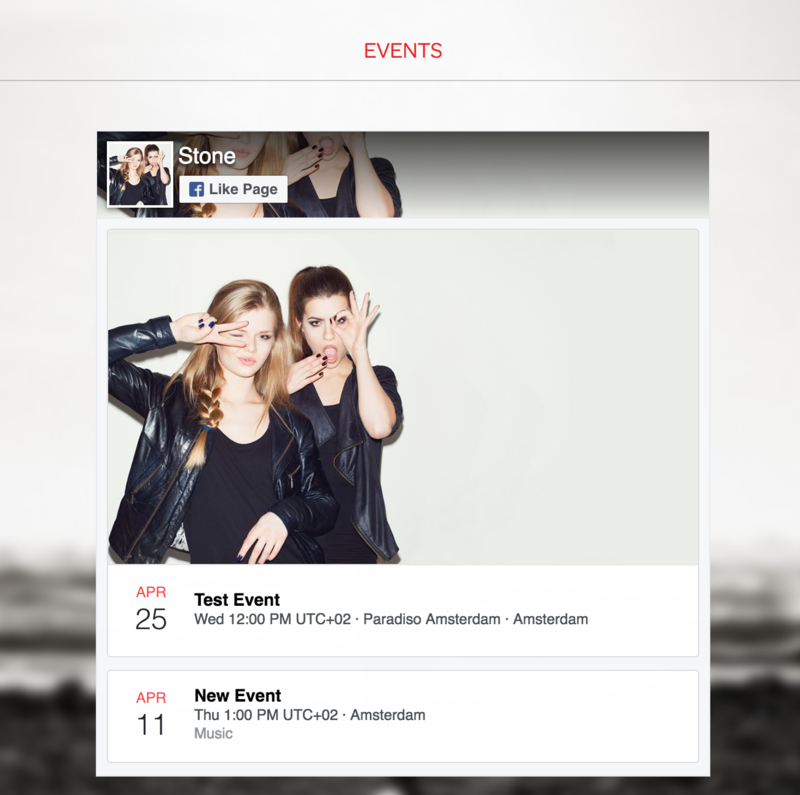 This depends on how many events you have or want to show. Click on Get code, you an find the button below the widget. 6. 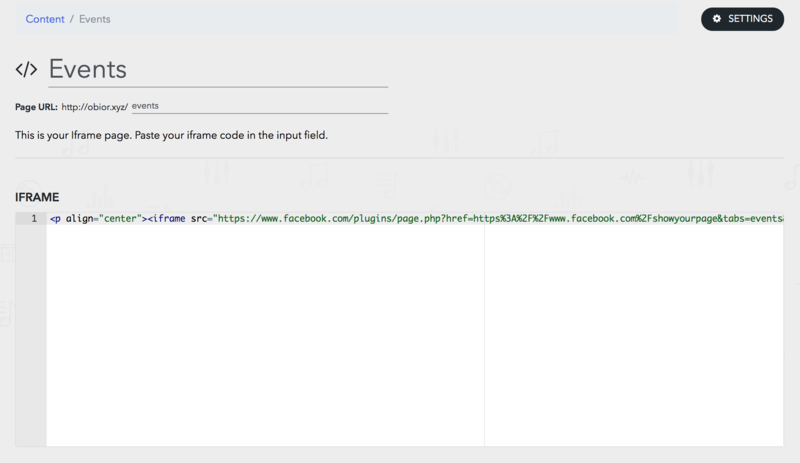 Change the name of the Page and paste the code.